We're so excited that many of our merchants have been nominated for Best of CLE 2019! With so many local businesses within just a few blocks, it's important to support and keep the neighborhood thriving. 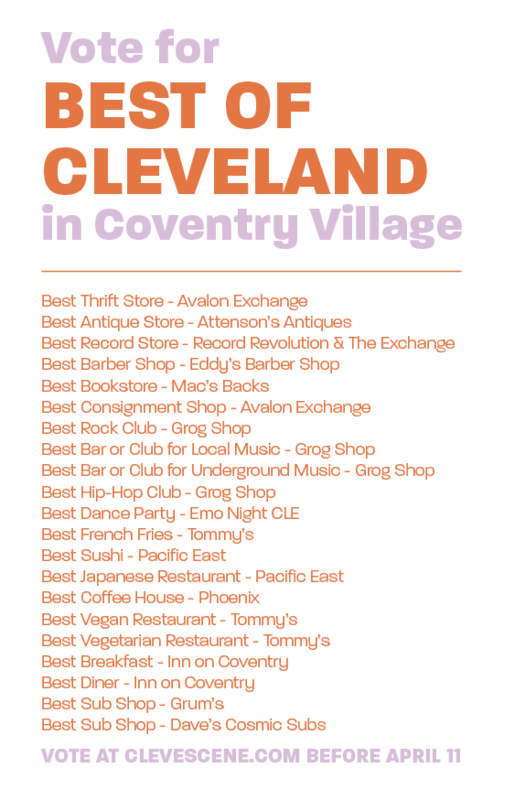 Please consider voting for your favorite Coventry businesses for Best of CLE 2019 and keep supporting your neighbors on Coventry! Voting ends on April 11th at 2:59am so get your ballots in!